Wolverhampton’s Antony Woolery “feels like a million dollars” as he prepares to put on a show for his supporters with his professional debut. Woolery will enter the pro ranks in the cruiserweight division on Saturday November 25 and has sold the best part of 150 tickets. At the age of 32, time is not on his side so he’s looking to get going as quickly as possible, starting at the Imperial Banqueting Suite on Lichfield Street in Bilston, Wolverhampton. The punching plumber features on Errol Johnson’s BCB Promotions show, having taken on Johnson as his manager and trainer with Paul Mann also coaching him. He grew in Deansfield, but now lives in the Staffordshire village of Dunston. He’ll box a European opponent when he turns over. He will face Latvia’s Dmitrij Kalinovskij, who has a chequered record of 11 wins, 38 defeats and four draws. The 25-year-old has scored five TKOs and been stopped eight times. Woolery has amateur experience under the tutelage of ex-pro Richard Carter and won England Development area and West Midlands honours. Belts are still very much in his thinking and, with the Midlands title at the weight currently vacant, there’s reason to get moving quickly. Coventry’s Dilly Singh won a British Challenge strap inside four fights at cruiser earlier this year, so there’s a potential match down the line. “I want to get as many fights in as I can over the next 18 months and I’m feeling fitter than I’ve ever been,” he told bcb-promotions.com. “I’ve got a lot of people coming to watch me and I’m going back to the old Ant, which means I’ll be looking to knock people out. “I’m not the silkiest or most skilful of boxers, but I can punch. I just want to challenge myself and go as hard and fast as I can. “I’d love to fight for the British title and, if you look at the division, everything leading up to that level is pretty poor. It’s wide open, really. Woolery supports the main event for the vacant Midlands light heavyweight title, which will be contested between Tipton’s Ricky Summers and Coventry’s Joe Sherriff. Jason Welborn and James Beech Jnr, who are both signed to the MTK Birmingham stable, also feature on the under-card, as do Stoke-based duo Luke Caci and Nathan Heaney. BCB Promotions return to the Imperial two weeks later on Saturday December 9, for what will be a festive fight night. Black Country quartet Sam Evans, Tommy Ghent, Danny Ball and debutant Connor Lee Jones do the honours in the home corner that night, along with Irishman Steven Power. Tickets for both shows at the Imperial are on sale now, by contacting the boxers or online at iboxingtickets.com. 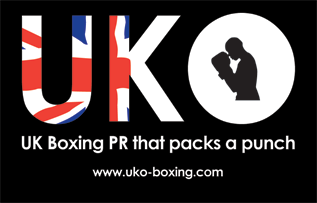 They are priced at £35 standard and £60 ringside, the latter option to include food. It will be £40 entry on the door come fight night.